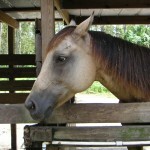 Welcome to the Everglades Ranch website! 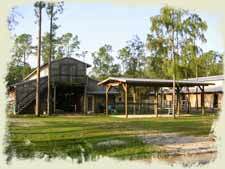 Everglades Ranch is located on the edge of Picayune State Forest and together with the Belle Meade horse trails offers miles of beautiful scenic trails. You will be able to observe many different native animals, such as deer, bears, alligators, as well as the cherished American Bald Eagle in it’s natural habitat. This beautiful private boarding facility, is open twenty-four hours a day, seven days a week to boarders. We offer a 12×12 stall with a private paddock attached or a large outside paddock with shelter. There are also a number of large turnout areas available. We offer one show size lighted arena and one smaller lighted arena for night time riding as well as two round pens for all your playing, exercising and training needs prior to venturing out on the trails. Our barns are very active and offer plenty of opportunity to participate in events such as clinics, educational seminars, natural horsemanship training and fun play days with the other boarders. Call to set up an appointment to have a tour of our wonderful facility. We would love to have you become a part of our family at Everglades Ranch! We believe in keeping it Natural. Come Check Us Out……Join the Everglades Ranch Family Today!